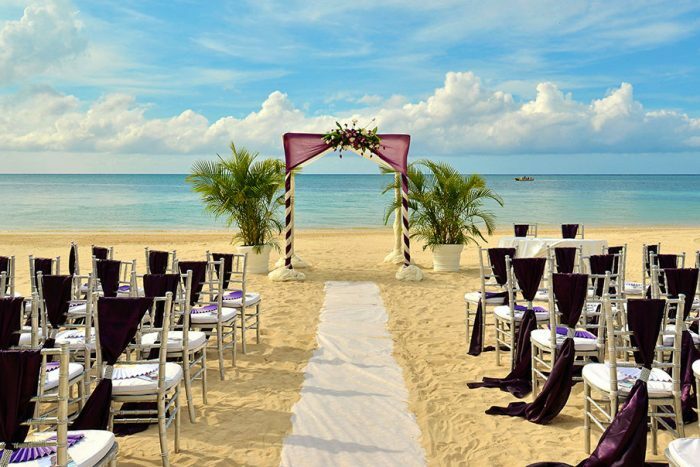 Located on the island of Jamaica, this resort offers an idyllic spot of gorgeous beaches tucked away between the sea and rolling mountains, creating a picture-perfect place to hold your wedding ceremony. Resting on a secluded beach, this adults-only resort will provide you with an experience of ultimate pampering including personal butler services, and beautiful pools to relax at. With a laid-back and mellow atmosphere, an Iberostar Grand Hotel Rose Hall wedding is perfect for those who want a small intimate ceremony, although larger groups can be accommodated as well. The resort offers a vibrant nightlife with on-site dance clubs. 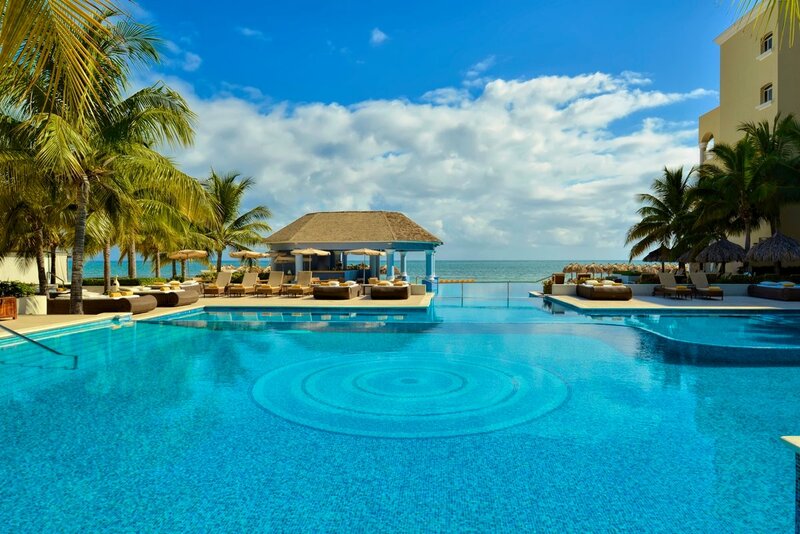 There are exchange privileges and full access to neighboring hotels, Iberostar Rose Hall Beach and Iberostar Rose hall Suites, including an additional 11 a la carte restaurants, 15 bars, and a lazy river. Due to its secluded location, there is not much to do in the area outside of the resort. Rooms range from $230 – $320 per person per night. Every room includes wifi and a personalized minibar. The presidential suite room categories include a wrap-around terrace with a whirlpool jacuzzi and sun loungers. There are 295 total guest rooms with views of the garden, pool, or ocean. The resort is made up of 1 main building, that is 6-stories high. This resort shares exchange privileges at nearby resorts. All rooms allow up to 4 adults max. The resort will host no more than 2 wedding per day, Monday thru Sunday. Ceremonies can be held anytime between 3pm – 5:30pm depending on the season. The wedding coordinators typically respond in 1 full business week. Iberostar Grand Hotel Rose Hall is located 11 miles from the MBJ airport. The resort is about 30 minutes outside of downtown Montego Bay. 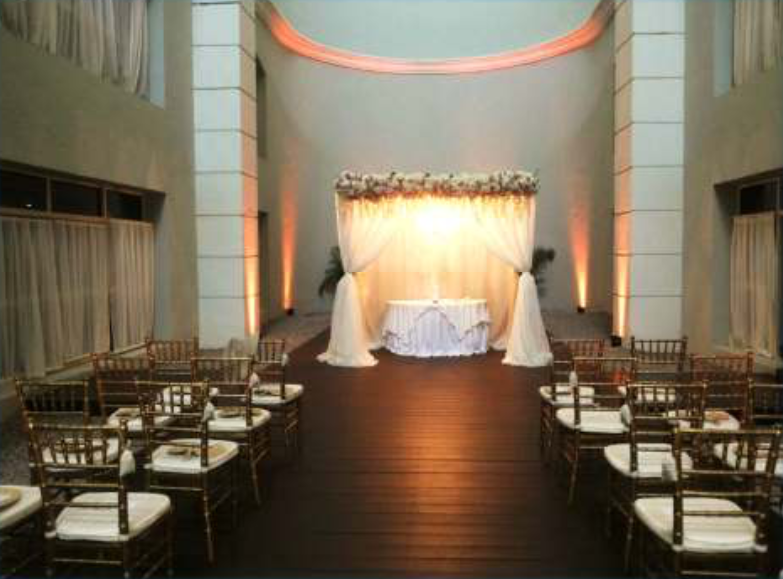 Q: What makes Iberostar Grand Hotel Rose Hall such a great place for a destination wedding? A: The exclusivity of being an adults-only hotel with great views and locations for pictures. The exquisite international cuisine offered for special events and the Grand service provided. A: The planning of the wedding with the bride, and helping them bring their vision or dream alive. 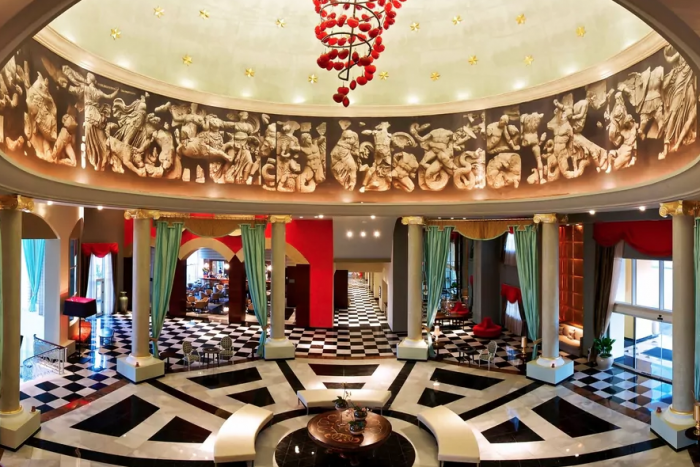 Q: Is there anything else specific to know about Iberostar Grand Hotel Rose Hall? 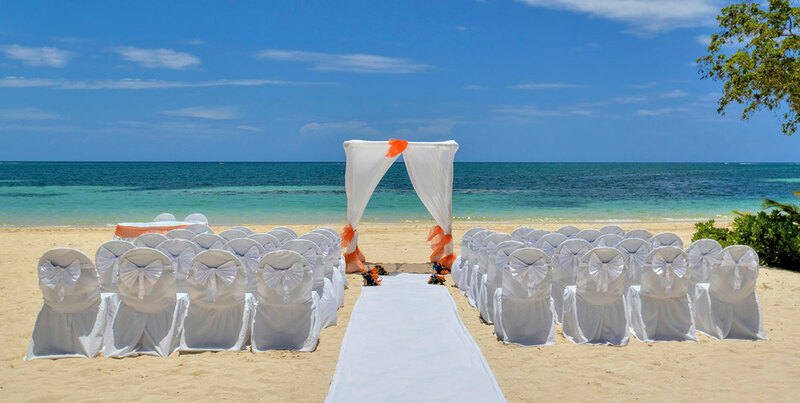 A: It is the perfect combination of luxury and Caribbean vibe that most couples are looking for when they choose to have a destination wedding in Jamaica. In addition, having two family-friendly properties next door gives a bonus to those couples that like the adults-only all-inclusive concept, but have friends/relatives with young children that would like to attend the wedding.